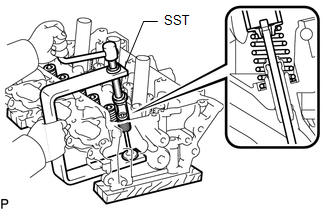 (a) Using SST, compress the inner compression spring and remove the valve spring retainer locks. 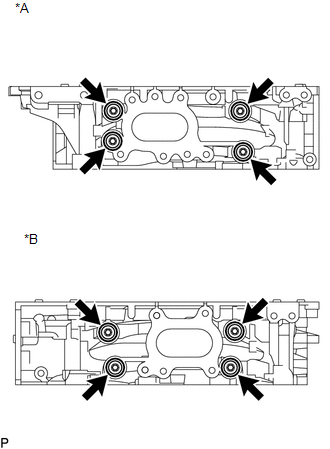 (b) Remove the valve spring retainer, inner compression spring and intake valve. 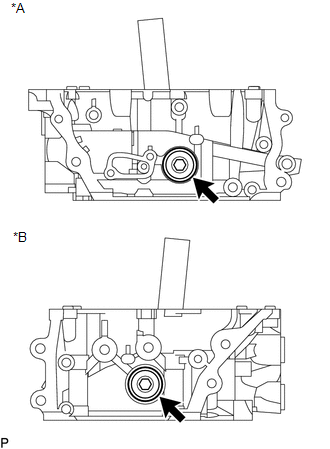 (b) Remove the valve spring retainer, inner compression spring and exhaust valve. 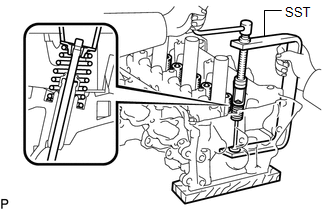 (a) Using needle-nose pliers, remove the valve stem oil seals. 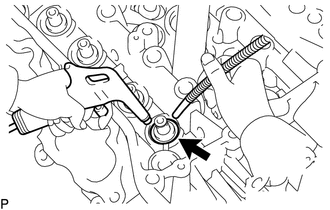 (a) Using compressed air and a magnet hand, remove the valve spring seats by blowing air onto them. If water leaks from a straight screw plug or the plug is corroded, replace it. (a) Using a 10 mm hexagon wrench, remove the 4 No. 1 straight screw plugs and 4 gaskets. 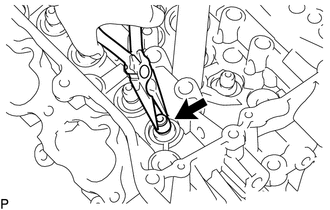 (a) Using a 14 mm hexagon wrench, remove the 2 No. 2 straight screw plugs and 2 gaskets. 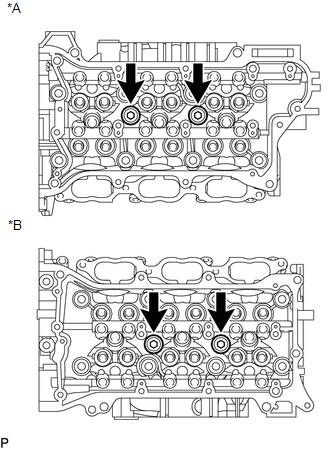 (a) Using a 10 mm hexagon wrench, remove the 8 No. 3 straight screw plugs and 8 gaskets. It is not necessary to remove the union unless it is being replaced.